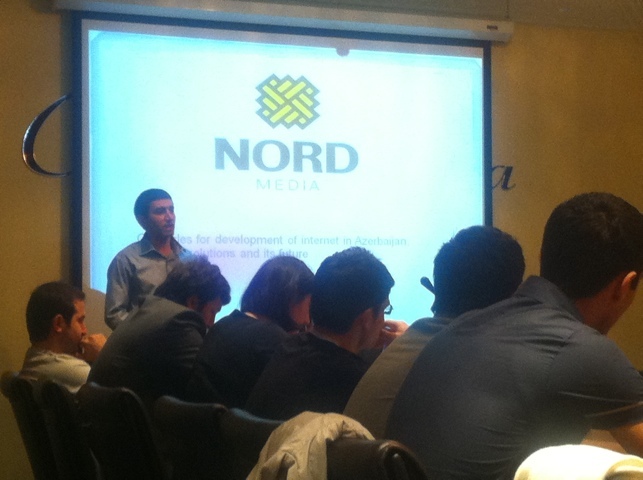 A seminar on “Obstacles for development of the Internet in Azerbaijan, possible solutions and its future” is in its ongoing stage now. The seminar is organized by Nord Media and Caspian Engineering Society (CES) in Caspian Plaza’s conference hall and started at 14:00 pm today. The main topics of the seminar are Alexa analysis of the Internet trends in Azerbaijan, most common search keywords, Internet Service Providers (ISP), domains and registrars and social networking. At the end of the seminar was the presentation of http://www.anet.az which is the Internet advertising market.